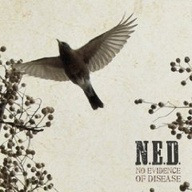 Music & Cancer DVD — N.E.D. What is the relationship between music and cancer? More importantly, how can music heal? Join Dr. Nimesh P. Nagarsheth, GYN oncologist, author, and drummer for the band N.E.D. as he addresses these questions in a filmed presentation based on his acclaimed book.